Ready for a fun, exciting, and eventful week leading up to Halloween and linking up with Teaching Trio! Also linking up with All Things Apple and her Sunday Circular to help reach a goal for the month of October. If you need last-minute Halloween lesson plans or stock-ups for next year... Check out my sale on TPT! Thanks! 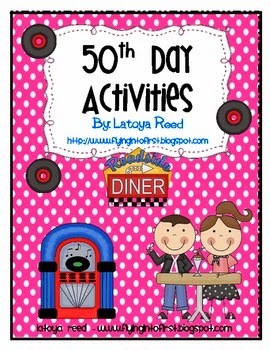 Today was our 50th Day of School! at "Flying into First Grade." While coloring we listened to some rockin' 50's music I found on Youtube. And we finished with an awesome dance party complete with "The Twist!" 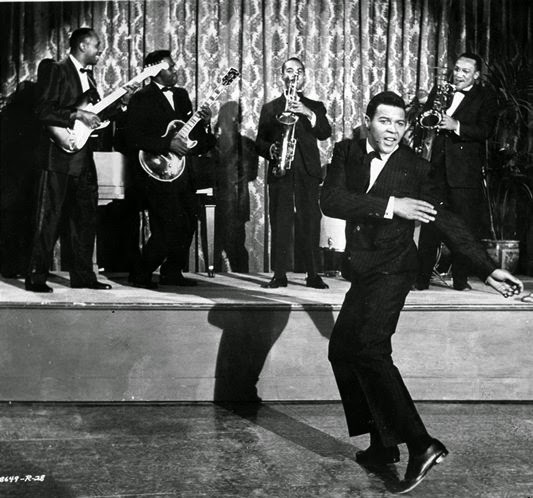 The quote of the day came when "Hound Dog" started to play. Kinder A exclaimed, "I know who this is! It's Elvis Parsley! My mom is going to be SO jealous when she hears we listened to Elvis Parsley!" In Kindergarten it's the little things that make the biggest difference... I hope my kinders remember today for years to come! We are 50 days in and are still going strong! I'm linking up this Sunday with Countless Smart Cookies for the Sunday Spotlight and her very first linky party! I'm spotlighting my new first grade unit tied to Common Core and Next Generation Science Standards called "Patterns in the Sky." This unit includes a content-based reader, a vocabulary activity, a "Luke Sky-Watcher" journal, a step book, and an extended response assessment. All activities are in color and black/white! To celebrate this spotlight ALL units in my TPT store will be on sale this week only! I'm choosing to spotlight one of my new favorite TPT teachers! 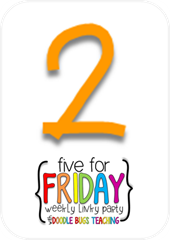 Jamie at "Play to Learn Preschool" has lots of great creations in her store and great ideas on her blog! 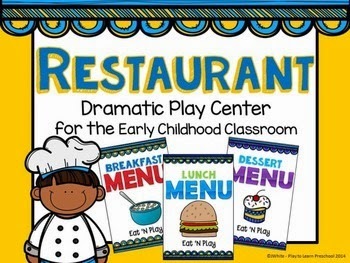 I bought the Restaurant Dramatic Play Center Set last month and my kinders LOVED it! Be sure to check out her store and her blog! 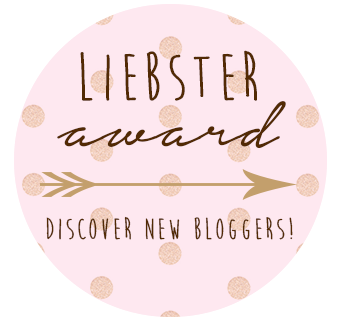 Thanks so much to Stephanie from "A Touch of Class" for the Liebster Award nomination! This award nomination is for blogs with less than 200 followers and I certainly fit that bill, but am working hard to network with all the amazing teachers out there who love being teachers and are working hard at it just like me! I started this blog a little over a year ago, but just started writing in earnest last month. I began with the intent of promoting my products on TPT, but have quickly found that writing is therapeutic and reflective for me. It's a way to release all those lofty teaching aspirations I have and share what's working in my classroom while learning SO much from others who are doing the same. Progressive! In the 12 years since I started teaching education has changed so much! I pride myself on working to incorporate the best ideas from "old school" Kindergarten with new standards and a new generation of students. I wish I knew more about networking. I know that sharing with others is the key to gaining the most from keeping a blog. Not only can I benefit financially by sharing products, but (even more so) I can benefit from all the wonderful ideas from other teachers! I really and truly love creating new teaching materials! Each week I think of what I can create to better implement Common Core standards and meet the needs of my 21st Century students. Then I work to reflect and refine my ideas to create products to share or sell. 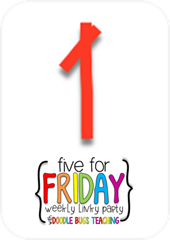 In general I spend about two to three hours per week on my blog... after the kids are in bed! I love sharing about my class and my students! I also love doing Linkies! My inspiration comes from my classroom, professional development trainings, and new products! 8. Of which post that you have written are you most proud? Posts about our class project. I have loved sharing about how I'm trying to implement some inquiry-based learning and "play" time into our school day. Check out my favorite post here! 9.Is there any post you have been planning to do, but have been postponing it for a while now? I keep a list of ideas! I have so many things to share, but am trying to pace myself! I love that it is like keeping a teaching journal... why didn't I start doing this sooner?!? 11. Which recipe, project, or idea on my blog would you be most likely to try yourself? I like Stephanie's "Substitute Teacher Form!" It's a great way to give subs the opportunity to be honest about student behavior without feeling like they are tattling. 2. Answer the 11 questions given to you (the ones I answered above). 3. Nominate 11 blogs of your choice that each have less than 200 followers. Provide them with 11 questions to answer or have them answer the questions above. 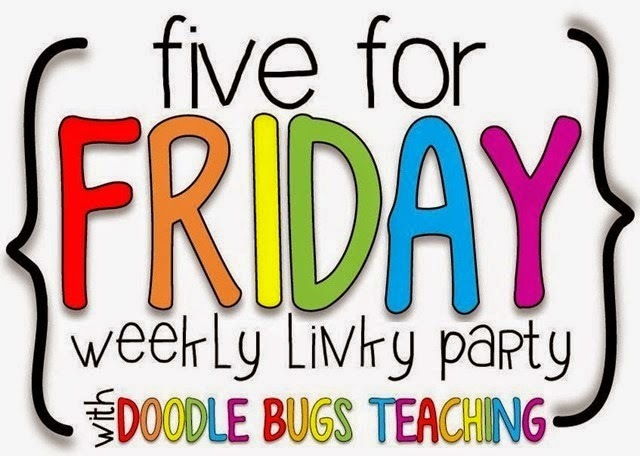 Reflecting on the week and linking up with Kacey at Doodle Bugs Teaching for "Five for Friday!" After a refreshing, albeit rainy, fall break we picked right back up where we left off! At the start of the week I became an aunt for the 9th time! Sweet baby Sawyer was born overnight on Saturday to my own baby brother and his wife. New babies always stir my emotions... since he lives a few hundred miles away, I cannot wait to meet him and hold him! On Monday I excitedly jumped right back into teaching my precious Kinders! My student teacher was amazing and we all miss her so... BUT it felt good to be back in the saddle. One sweet girl exclaimed, "But who will do calendar with us?!?" I love starting each day with the routine of calendar math and I wouldn't do it without my monthly Smart Board calendars! 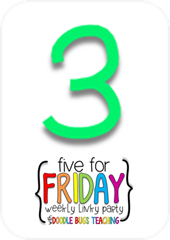 Check out this calendar on TPT! After a week of rain and a night of storms, we stepped into the morning sunshine on Tuesday to walk to the local fire station to learn about fire safety. One of my students' daddy is a firefighter... we had our own personal hero with us while we toured! Somehow in the midst of the daily grind, my husband returning to his basketball coaching schedule, and my daughters' after school activities, I managed to finish report cards and schedule parent conferences. I cannot wait to meet with my students' families and share all the progress they are making! I am blessed with a class full of hardworking, loving, eager, and sweet children and I enjoy every day with them! Finally, our class News Project took a backseat this week as we worked to get back into a routine... but today I caught these images during Play and Explore Center time. We have our anchor giving the weather report and determining it will be a great day for recess while the crew works, in their words, "behind the scenes." This will lead in so well to our Fall unit next week on the changing weather! 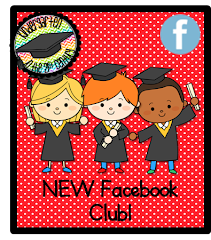 Read about our Class News Project! Fall Break is winding down and I'm getting back into gear for the most treacherous stretch of the school year... Halloween through Christmas! In my experience, students come back from Fall Break on a high that seems to continuously escalate through the holiday season. I quit trying to fight it years ago and decided just to jump in, hang on, and enjoy the ride with my young students. Shhh! They have no idea we are still addressing Common Core targets and 21st Century Learner standards while we are having tons of fun! 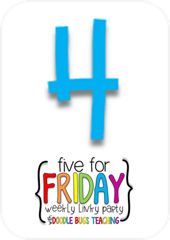 To get back into the school groove after a wonderful week off, I'm linking up with Oh' Boy 4th Grade and sharing what I am up to... "Currently." 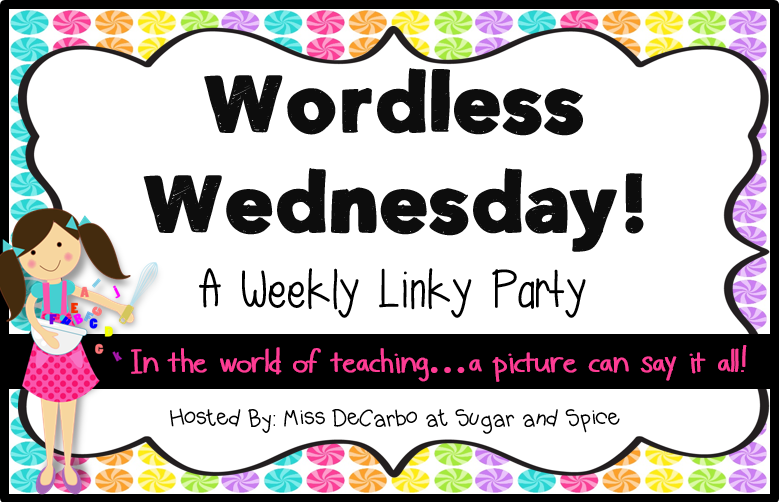 Linking up with Miss DeCarbo tonight for Wordless Wednesday! We had such a fun time welcoming the new season at "Fall on the Farm" last Friday! The MSU School of Agriculture always does a fantastic job setting up activities that are fun and educational for the children and families in our community. For our class News Project my students spent the day reporting on each event to the video camera. Next we will cut and edit our footage in the computer lab to produce our own news segment!